; check with our office for scheduled Saturdays. extended appointment hours, including evenings and Saturdays. 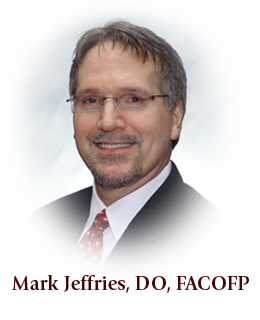 Board certified in family practice by the American Osteopathic Board of Family Physicians, Dr. Mark Jeffries has provided care to families throughout the greater Dayton area since 1995. A graduate of the West Virginia School of Osteopathic Medicine, Dr. Jeffries received post-doctoral training at the Ohio University College of Osteopathic Medicine and Grandview Hospital and Medical Center. He has served as Chief Resident in family practice at Grandview, and is currently Medical Director for Viaquest Hospice Care. 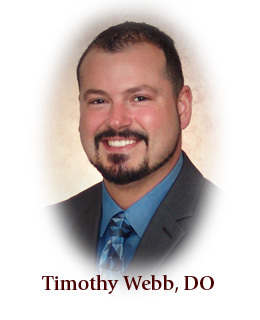 Sugarcreek Family Medicine and Providence Medical Group are pleased to announce that Timothy Webb, DO, has joined our professional staff as a practicing physician. Dr. Webb received his medical degree from the Kentucky College of Osteopathic Medicine, and is an active member of the American Osteopathic Association and the American College of Osteopathic Family Physicians. He is a native of Gallipolis, Ohio and a graduate of the University of Rio Grande of Rio Grande, Ohio. An avid landscape photographer, Dr. Webb and his wife, Kendra, recently relocated back to Ohio after living in Ft. Lauderdale , Florida. Dr. Webb is available now for a convenient appointment. 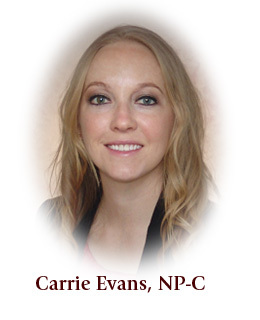 Our professional staff includes Certified Nurse Practitioner Carrie Evans. With over 10 years of nursing experience, Carrie provides complete clinical care — including treatment of illness and injuries, disease prevention, diagnosing and treating acute and chronic conditions, and annual wellness visits. In addition, she offers experience in well-woman care, treatment of hypertension, and diabetes care. As a nurse practitioner, Carrie also plays an important role in counseling our patients on ways to better manage their own health to help assure long-term wellness. 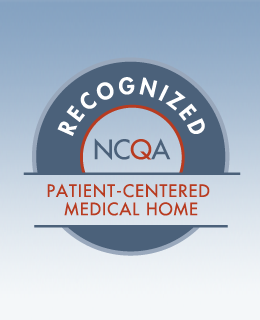 Sugarcreek Family Medicine is recognized by the NCQA as meeting PCMH 2011 Patient-Centered Medical Home standards. • Schedule appointment — Schedule your video visit directly with the front desk staff or your online patient portal. Why see my doctor over video? Video visits allow you to conveniently meet with your doctor over secure video, from the location of your choice. This lets you skip the waiting room, and saves you a trip to the doctor's office. What do I need for my video visit? You can use a computer, tablet, or a smartphone such as an iPhone, iPad, or Android device. 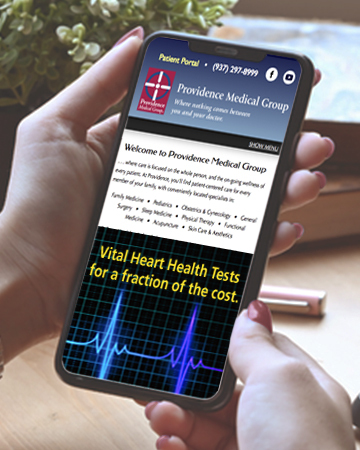 Search for 'Providence Medical TeleMedicine' in the app store on your mobile device, or go to your Patient Portal from your computer. You'll also need a valid credit card. How much will my video visit cost? Video visits are typically covered by your regular health insurance — you'll enter your credit card information before the appointment and will be charged the same co-pay as an in-person visit. To request your Video Appointment please call our office at (937) 848-9010, or go to your Patient Portal. If you need to reach your provider after our office is closed, please call (937) 848-9010. Non-emergent calls will be returned within one to two business days. At Sugarcreek Family Medicine, our goal is to continue to improve the health and wellness of all our patients. Patients 65 years of age and older who received an influenza vaccination during the measurement period. Patients 51 to 75 years of age who have received one or more screenings for colorectal cancer.